Think your 8% return this year in the S&P 500 was pretty good? 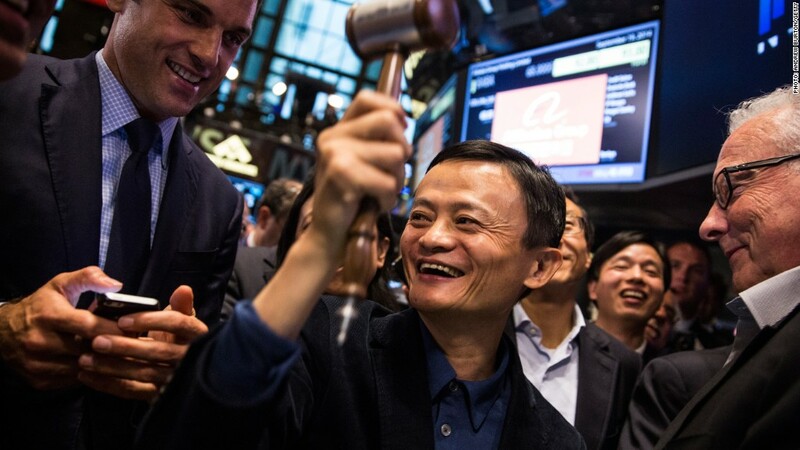 Alibaba (BABA) founder Jack Ma made more money than anyone this year, increasing his wealth by 173% -- a gain of $18.5 billion -- according to a list of the year's biggest winners and losers, from the research firm Wealth-X. Ma, a former English teacher who started the Chinese online marketplace with $60,000, is now worth a total of $29.2 billion. His banner year is tied to Alibaba's IPO in September -- the biggest IPO ever. Second on the winners list is Warren Buffett, whose savvy investing netted $13.5 billion so far in 2014 -- a gain of 23%. The Berkshire Hathaway (BRKA) chairman is now worth $72.6 billion. Bill Gates, the world's richest man with a fortune of $83.1 billion, comes in at No. 3. Gates made $10.5 billion this year. While Gates founded Microsoft (MSFT), most of his money now comes from a variety of investments, including Buffett's Berkshire Hathaway (BRKA). Rounding out the top five are Facebook (FB) founder Mark Zuckerberg, who made $8.4 billion, and Swiss telecom magnate Patrick Drahi with a $5.1 billion gain. It was a bad year to be a Russian energy tycoon. Leonid Mikhelson, the biggest shareholder in Russian natural gas firm Novatek, saw his net worth go from $17 billion to $10 billion -- a decline of 41%. His ill fortune was attributed to plunging oil prices, Russia's free-falling currency and Western sanctions imposed over the trouble in Ukraine. The second biggest loser is Japanese businessman Masayoshi Son, head of Softbank, the parent company of U.S. telecom firm Sprint (S). Son lost $5.9 billion last year, or 31% of his fortune. Casino owner Lui Chee Woo came in third, losing $5.5 billion. He's now worth $14.1 billion. Amazon's (AMZN) Jeff Bezos was fourth. He also lost $5.5 billion -- or 16% of his fortune -- and is now worth $28.9 billion. Casino owner and prominent Republican donor Sheldon Adelson came in fifth. He lost $5.2 billion, or 15%, and is now worth $30.1 billion.